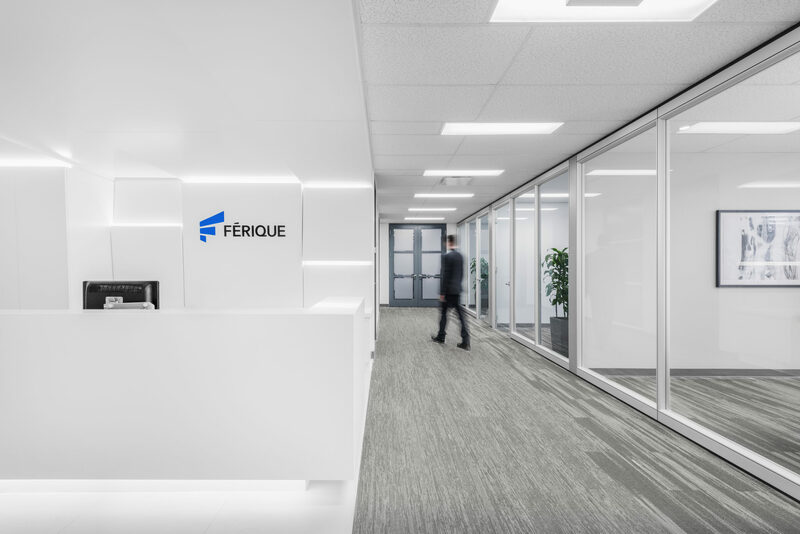 Gestion Férique offers a wide range of investment and fund management services to professional engineers, their families, and businesses. 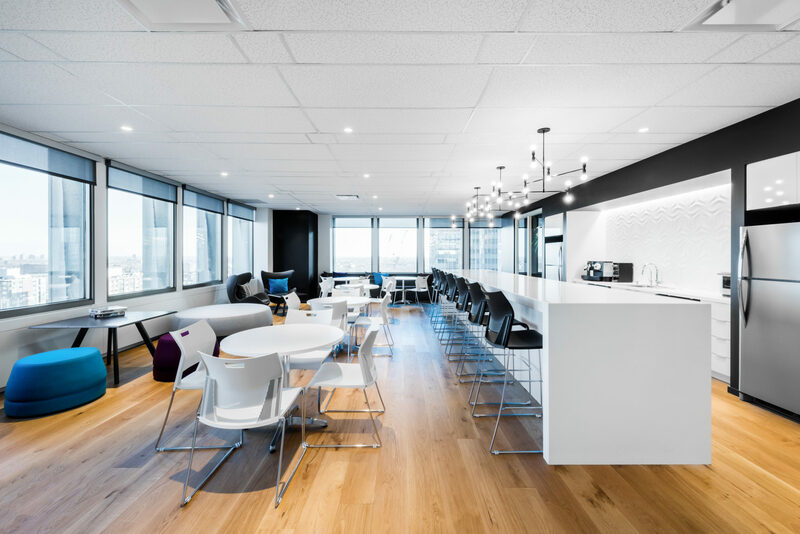 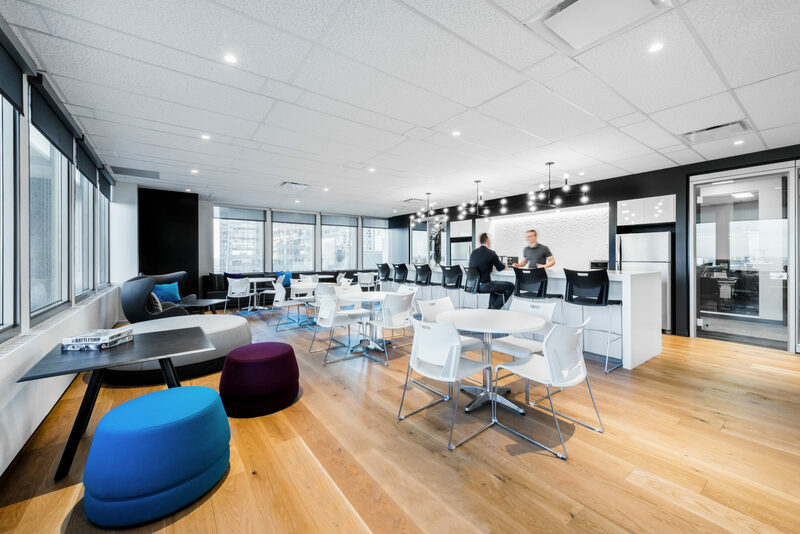 Their new Montréal offices needed to reflect the company’s values—a non-profit and confidence building organization dedicated to serving their clients’ financial goals. 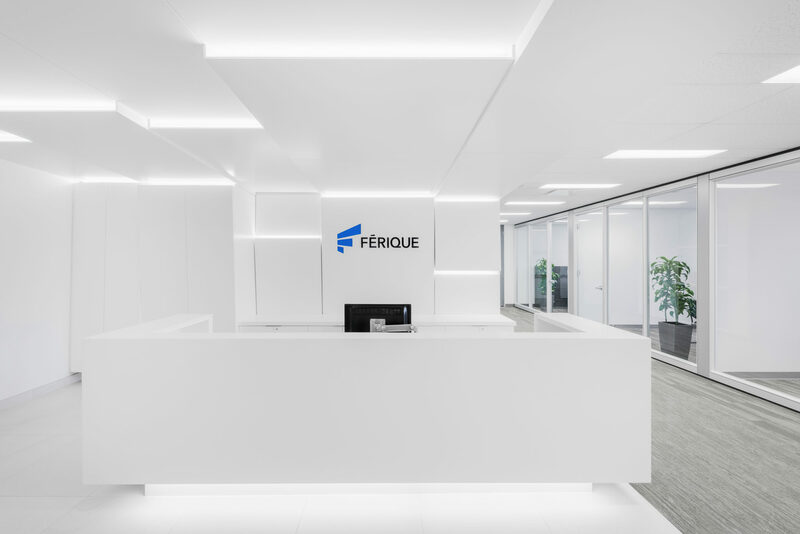 We created a sense of expansion and purity in the reception area—to inspire a feeling of trust and growth—in an industry often known for its volatility. 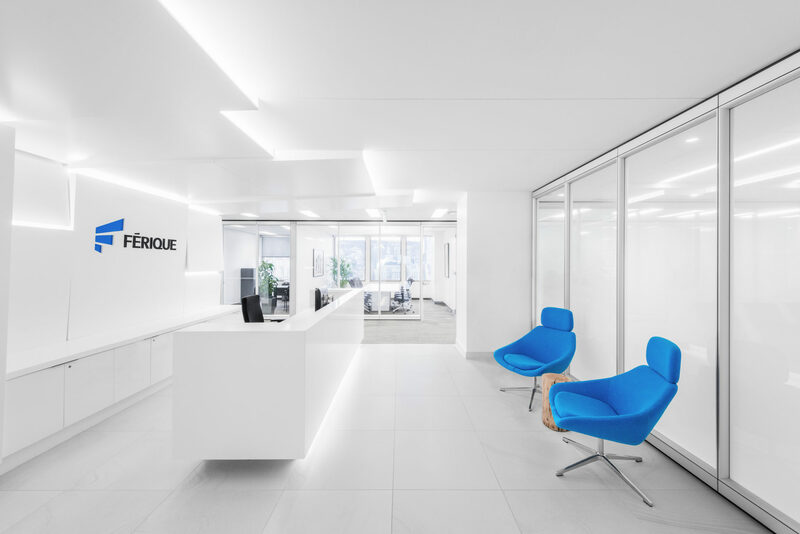 The play of interconnecting panels in the reception area, as well as bold design gestures throughout the office represent — “evolution, vision, transparency, perspective, the future”—all keywords that reflect Gestion Férique’s corporate soul.